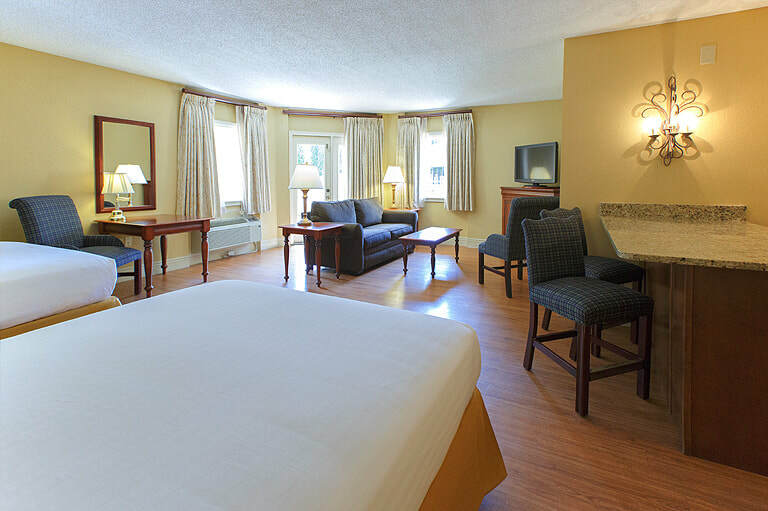 Deluxe Queen guest rooms are beautifully finished with contemporary touches, two very comfortable queen size beds, a 37" flat screen TV, a large bathroom with a double sink vanity, complimentary Wi-Fi, and your own private balcony. 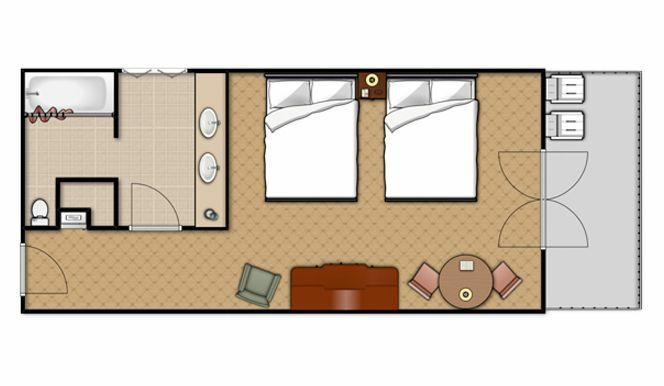 Room type options include the highly recommended Riverside View, a Water Park view, a Standard View, and the option for a Sleeper Sofa. Ready to make your reservation? Call us at 1-855-875-9100. As a guest you'll enjoy FULL access to both Hotel and Inn Water Parks, 2 Indoor Pools & Hot Tubs, 2 Arcades, 2 Breakfast rooms, the Business Center, the Fitness Center, and free hot coffee in the lobby. Unlike other hotels, we also have a Concierge to help you plan fun things to do. 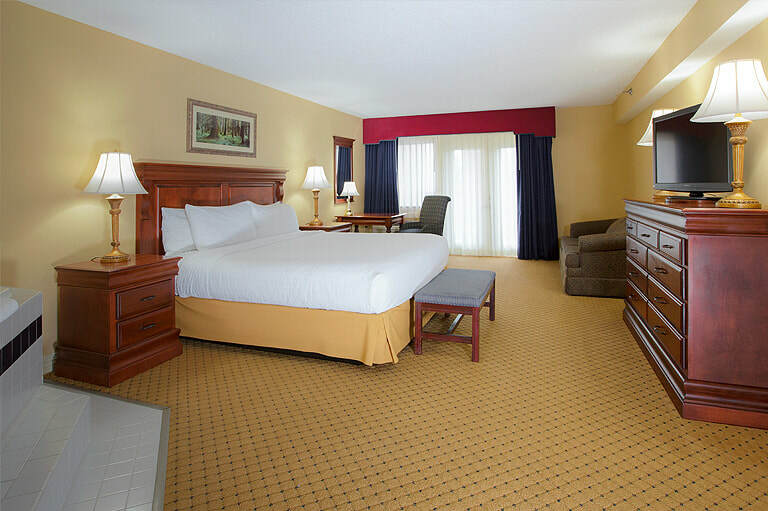 And when you're finished with the dining, shopping, and attraction-seeing in Pigeon Forge, you'll love coming back to your room that's larger and more accommodating than any other in the area. "Best place in Tennessee. A vacation just staying there. Our 4th family trip and this place is always the best . Would never stay any where else. Great breakfast every morning. Sit on the deck overlooking the river, feeding the squirrels and ducks. So very peaceful ."